Montana Chemical Dependency Center is run directly by the state and it is located in Butte. This facility has been treating addicts and alcoholics for about 5 years. Established in 2013, the Montana Chemical Dependency Center has made it a goal to provide the residents of Montana with the most intense treatment for substance dependency in the health care system. They provide an inpatient program which covers every area of therapy including holistic care for adults struggling with substance dependency and co-occurring disorders. This would give patients proof that this facility stands for its word and it is willing to help every addict as much as possible to taper off the substances they are addicted to. 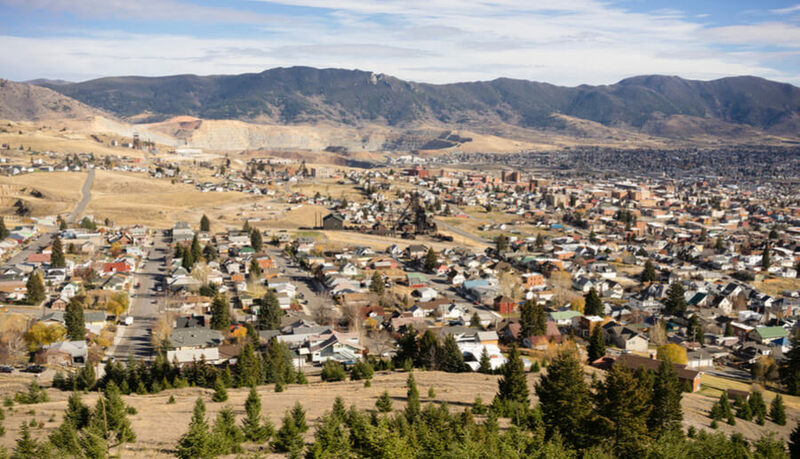 Montana Chemical Dependency Center has a dedicated team of members who provide education, treatments, support, and therapy for their patients through the various versatile stages of addiction treatment including the withdrawal stages. The only downside to this facility is that they do not take walk-in patients. This means that all patients have to be referred to by a professional who is also a licensed addictions counselor, and they must go through the application process. Montana Chemical Dependency Center is no doubt a state-of-the-art facility. This facility comes with about three buildings well structured in a vast space of land. Dividing the three buildings are the men’s unit or quarters, the women’s unit, the detox unit, and the administrative unit. Montana Chemical Dependency Center can house about 48 people, this can be broken down to 16 treatment beds for the women, 16 treatment beds for men and 16 beds set aside just for patients struggling with withdrawal management stages. This facility is proud to boast of taking in about 700 patients within a year. With this statistics, there is no doubt that this $5million facility is standard enough to handle various substance dependency and addictions. The participants share beds in a dorm-like setting, and they also have a center where family members can visit them. This building also comes with a kitchen, exercise room, and facilities, basketball court, horseshoe pits and cafeterias in which food is being served three times a day. Patients eat in the cafeteria or in groups depending on the type of session taking place at any moment. Like we mentioned earlier, Montana Chemical Dependency Center does not take walk-ins. Patients can’t just walk up to them and say ”hey, I abuse substances, please take me in and teach me how to abstain from them”. Every patient is referred to by a professional licensed addiction counselor. When patients are admitted, they are inspected by the facility’s interdisciplinary team who will then evaluate each patient and draw up a required treatment option. These treatments have been proven to be effective and they strictly follow the guidelines given to them by the American Society of Addictions. Montana Chemical Dependency Center has a ”No Drug” strict policy, and this also includes Nicotine and Caffeine. Nicotine and Cigarettes are all forbidden in this facility, and the same thing goes for coffee, tea, and any other caffeinated products. Payments in this facility depend on the length one stays; treatments can last up to 35 days or more. There is no certain price and payment varies according to the ability to pay. They also accept any type of insurance. They accept both private insurance and Medicare. They also go as much as possible to accept payments from third-party coverage. This facility belongs to the state of Montana, therefore it is a licensed facility. Founded in 2013, the Montana Chemical Dependency Center has been operating for over 5 years of service providing its participants with experienced services. It is totally run and operated by the state of Montana meaning its services are professional and strictly goal-oriented. Overseeing the facility, Sheila Hogan is the Director in charge of the Montana Chemical Dependency Center and so far has been doing a great Job. She is very committed in her job as the overall head and currently, the results this facility provides is proof that she is qualified as the Director of the facility. In charge of the office management, Sheila Lopach is responsible for the efficient functioning of the office through the range of financial, administrative and managerial tasks. She ensures the smooth running of the Montana Chemical Dependency Center offices on a day to day basis and she also aids in the management of the staffs and any support staff in the facility. Karen is the administrative assistant of Montana Chemical Dependency Center. Most of her job revolves around taking phone calls and distributing information passed by the Director around the office. She also interacts with patients or clients especially if one is willing to see the Directors.